10 x 14 in - 25 x 36 cm. 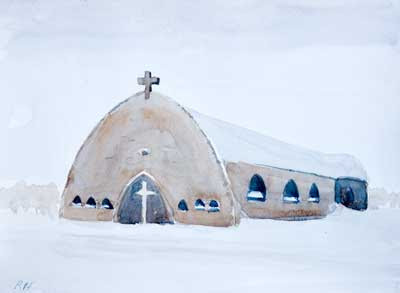 This was done as a quick, if large, sketch as an attempt to get the painting to read as 'snow'. Even with the prompting of title, I think its success is marginal. This was headed straight for the bin then I remembered that when I was starting out it was always comforting to know that those with more experience still had disasters. Even if you do think it reads as snow it also screams "beginner". Ref photo shown by kind permision of the photographer.